Prologue—the best history magazine you've never heard of. . .
Well, of course I don't mean that you haven't heard of it. If you need guidance accessing the treasure trove of materials archived at our nation's National Archives, or if you need to tap into another fresh and fascinating website for reasons of procrastination, there's always good reading—and invaluable research primers—at the online venue for Prologue, an outstanding history magazine produced under the aegis of the NARA. The statue on the Pennsylvania Avenue side of the building, entitled "The Future," provides the inspiration for the magazine title: "What is Past is Prologue." That really really says it all. The Fall 2009 issue features the previously unpublished photo above. 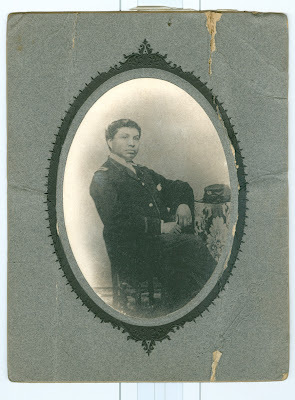 The caption reads, "William P. Powell, Jr., was one of the first African American physicians to receive a contract as a surgeon with the Union Army. (Records of the Department of Veterans Affairs, RG 15). Read the article, "Face to Face with History," here. There's an old article from the summer of 1995, still invaluable and still online, by Mike Musick, Subject Area Expert for Civil War Materials at the Archives, about whom Robert K. Krick wrote in an acknowledgement to one of his Civil War studies, "It is literally impossible to do adequate research for a serious Civil War book without Mike's collaboration." 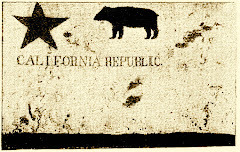 The article is entitled, "Civil War Records: An Introduction and Invitation." Read that here. By Trevor K. Plante—obscure as can be, yet the subject of enough organized records to provide more than a couple revelations. By Michael T. Meier—John D. Rockefeller paid $300 for a substitute. No surprise, but you can see the actual record if you like. "The Shady Side of the Family Tree: Civil War Union Court—Martial Case Files"
By Trevor K. Plante—endlessly fascinating, and largely un-mined, until Dr. Thomas Lowry started digging and produced some interesting volumes. These are a few of my favorite graves. . . 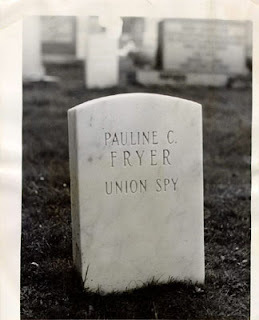 Most students of the American Civil War have read at least cursory accounts of the celebrated exploits of the Union spy, Pauline Cushman-Fryer, who got into good graces with Confederate authorities by proposing a toast to Jefferson Davis from the stage of a Louisville theater. After some success on behalf of the Union war effort, her cover was eventually compromised. Braxton Bragg ordered her tried as a spy, for which she was convicted and sentenced to death. 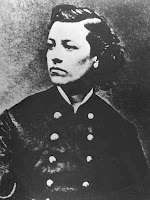 Fortuitously for her, the advance of Union forces under William Starke Rosecrans in June of 1863 compelled Confederates to fall back from Shelbyville, Tennessee, leaving their prisoner behind—fully three days shy of her execution date. She enjoyed much acclaim in the North — boasting the brevet rank of major — and later maintained a post-war career as a entertainer throughout the West. 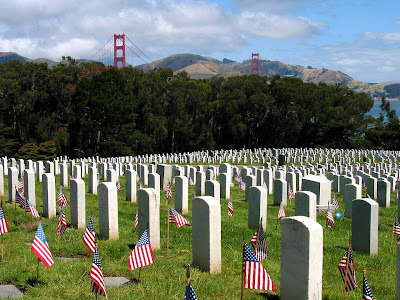 She died in San Francisco in 1893 at the age of 60, and lies in the Officers' Section of the San Francisco National Cemetery, a short distance from the resting place of Maj. Gen. Irvin McDowell, and Medal of Honor recipient (and Little Big Horn survivor) Charles Varnum. See a more provocative photo of her here.